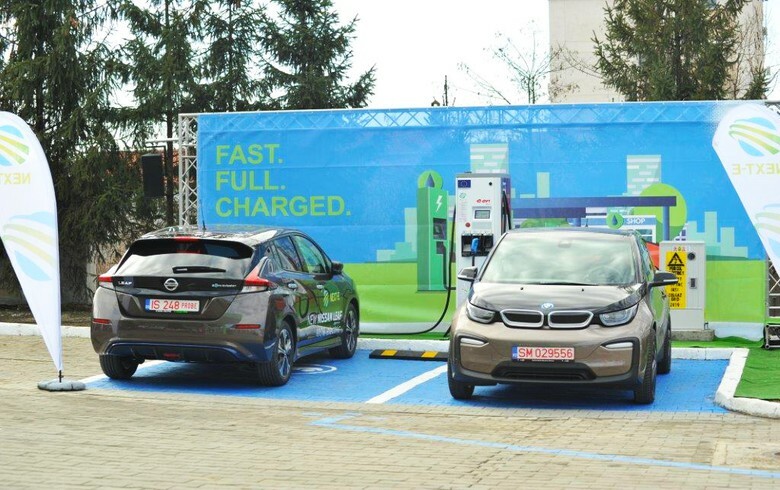 BUCHAREST (Romania), February 25 (SeeNews) - The Romanian arms of German energy company E.ON said on Monday it has opened a new charging station for electric vehicles (EVs) in a MOL Romania gas station located in the northeastern city of Iasi. The station is the fifth of a total 19 that the company plans to open in Romania by the end of 2020 in partnership with MOL, E.ON said in a press release. By the end of the year, the two companies plan to open a few more charging stations on the Iasi-Gheorghieni-Targu Mures route. "Statistics showing a significant year-on-year increase in the number of electric vehicles sold in Romania are extremely gratifying, as they indicate a clear orientation towards one of the most environmentally friendly and sustainable modes of transport, a trend that is going on in the rest of the world too. In this context we ask ourselves whether infrastructure will be able to keep up with this trend," E.ON Romania general manager Dan Morari said. E.ON and MOL announced in 2017 they plan to build 40 charging stations for electric vehicles (EVs) in Romania until 2020 with the support of European funds. Of the 40 stations, 19 will be installed by E.ON Romania and the remainder by MOL Romania. E.ON and MOL Romania's NEXT-E project was selected to receive funds through the Mechanism Connecting Europe Facility — CEF of the European Commission, with a recommended financing of 18.84 million euro ($21.4 million). The NEXT-E project brings together companies within the E.ON group - Zapadoslovenska energetika from Slovakia, E.ON Czech Republic, E.ON Hungary, E.ON Romania, companies within MOL group - represented by the subsidiaries from all the six attending countries, Hrvatska elekropriveda from Croatia, PETROL from Slovenia and Croatia, Nissan and BMW.